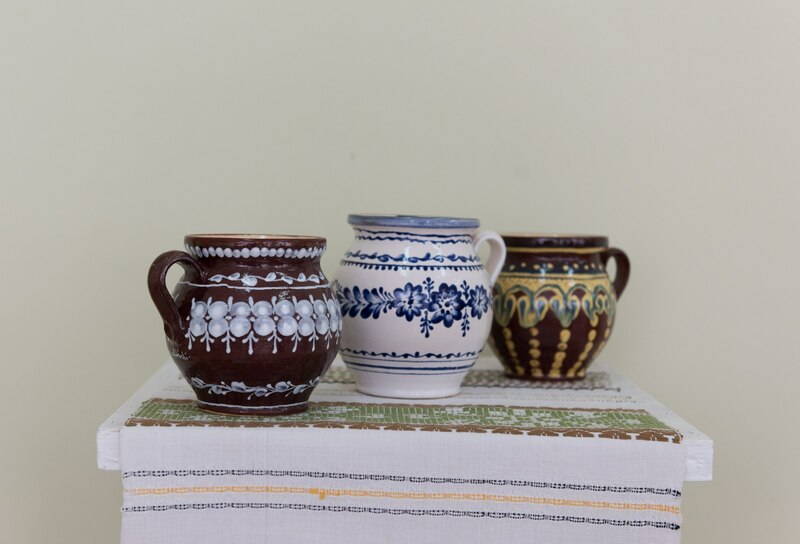 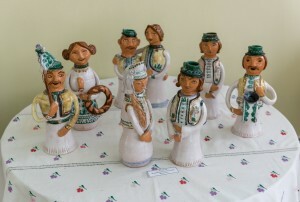 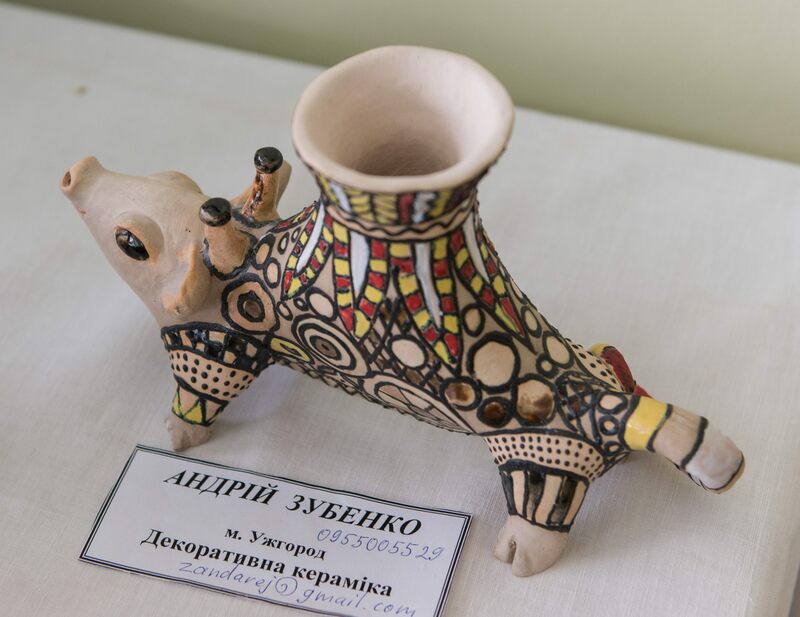 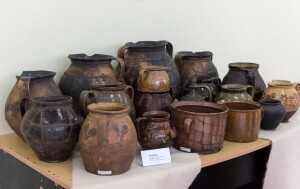 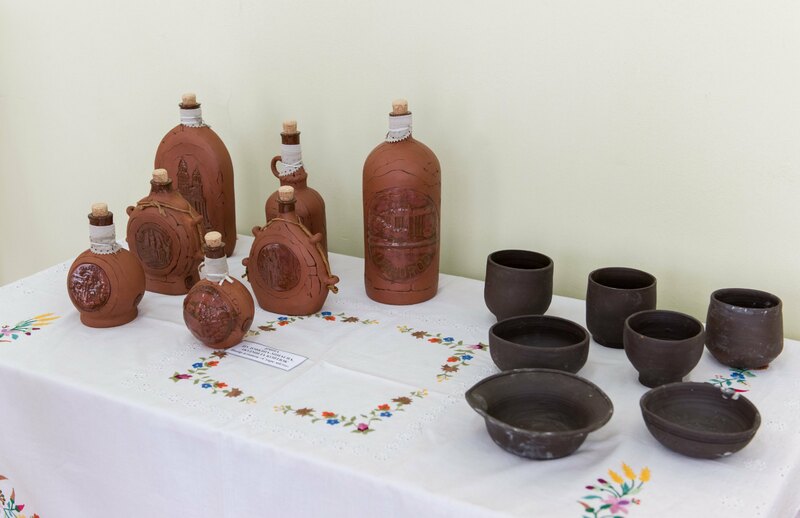 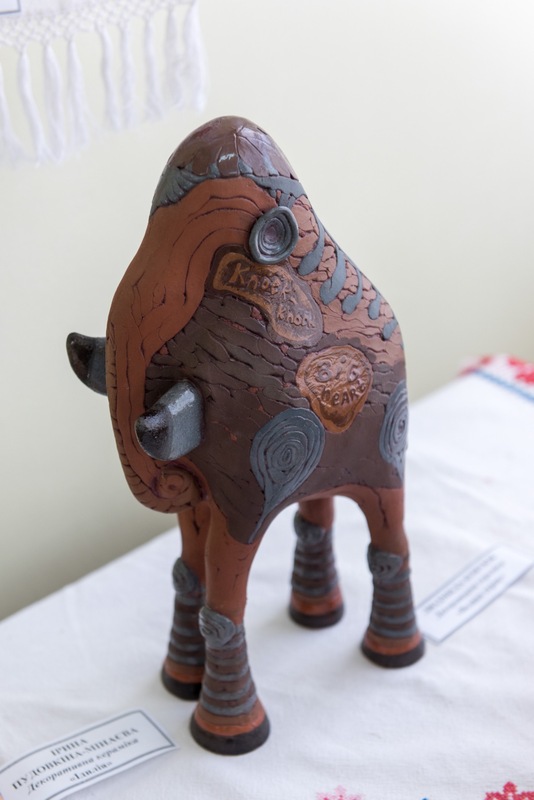 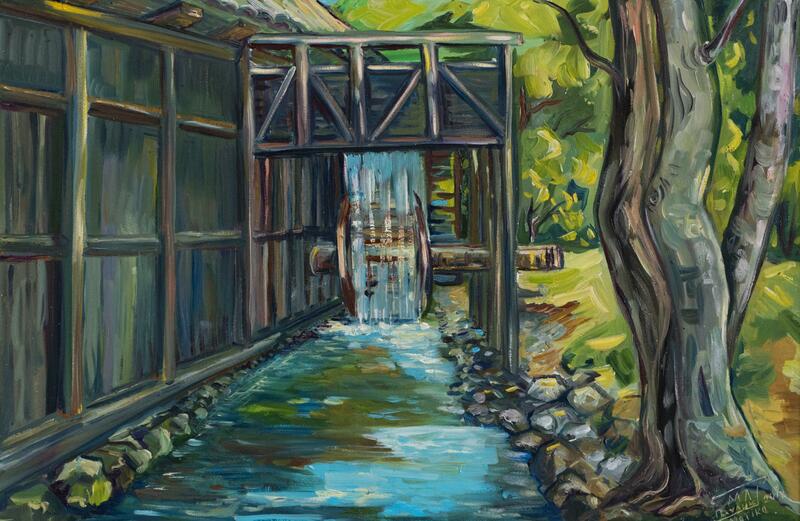 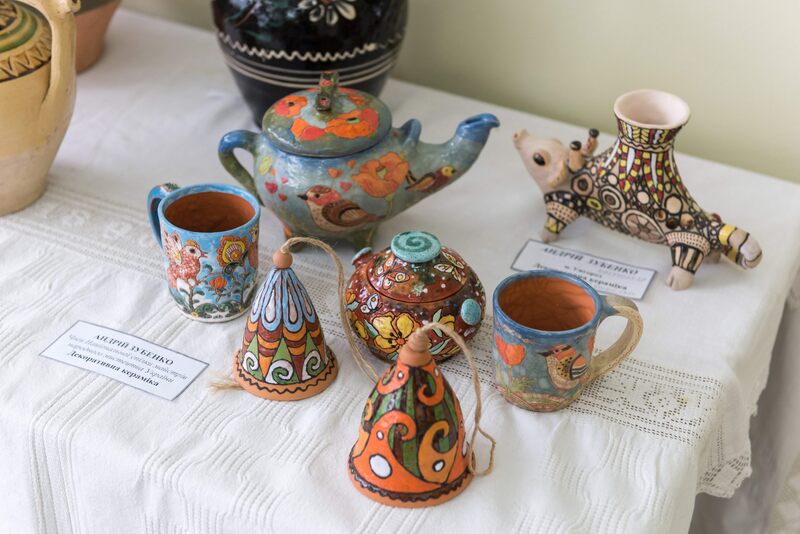 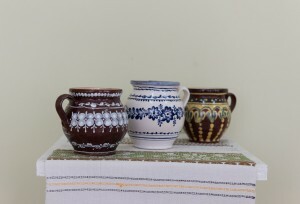 Exclusive pottery, ceramics, carvings and paintings, as well as dolls and sculptures are presented by the leading artists of the region in the exhibition hall of the Transcarpathian Regional Museum of Folk Architecture and Life. 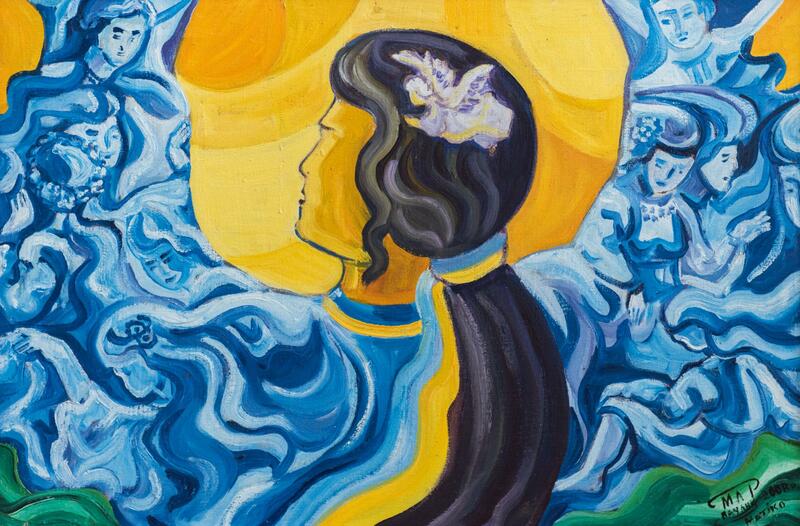 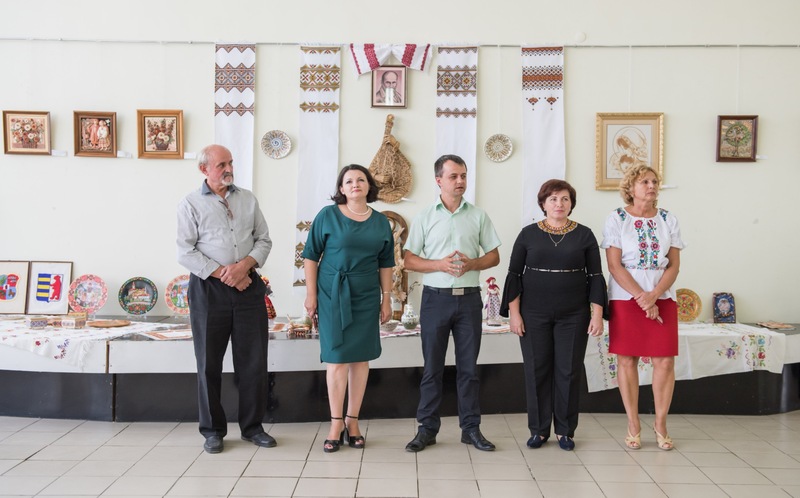 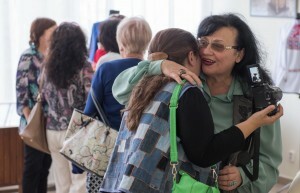 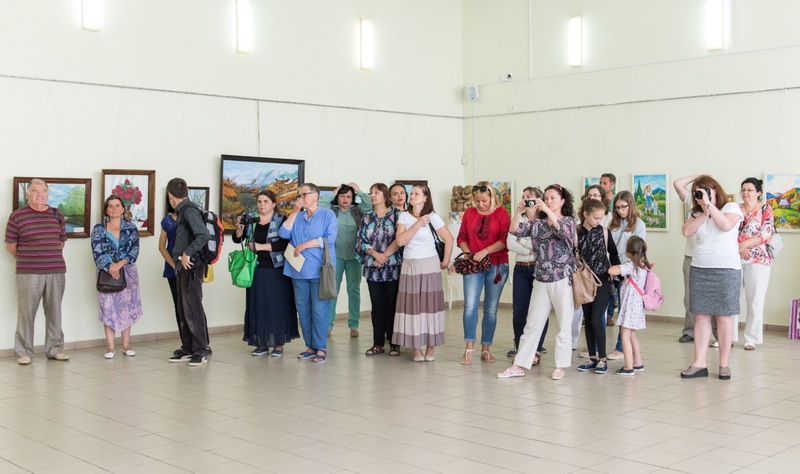 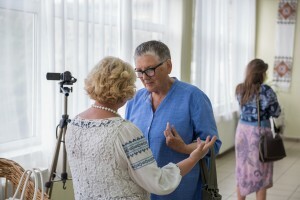 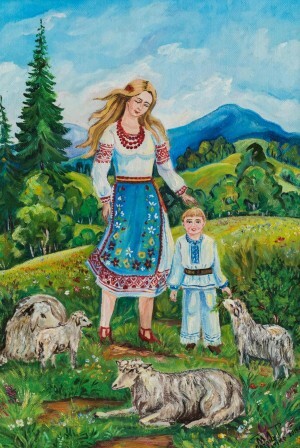 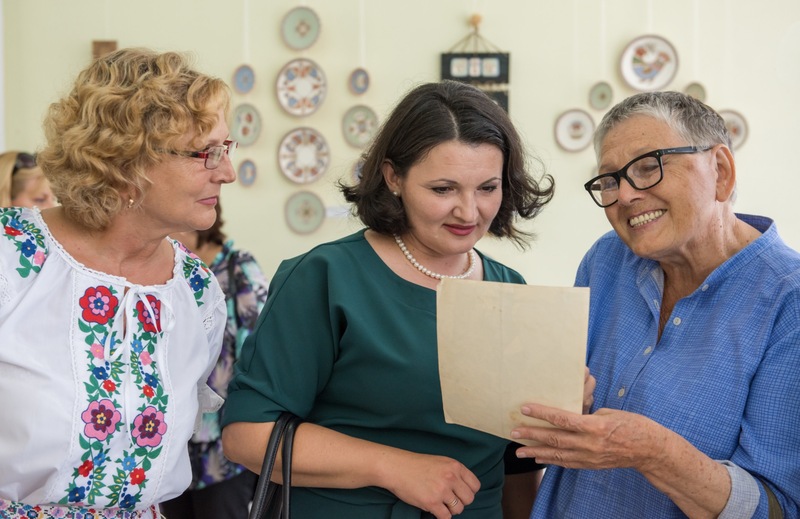 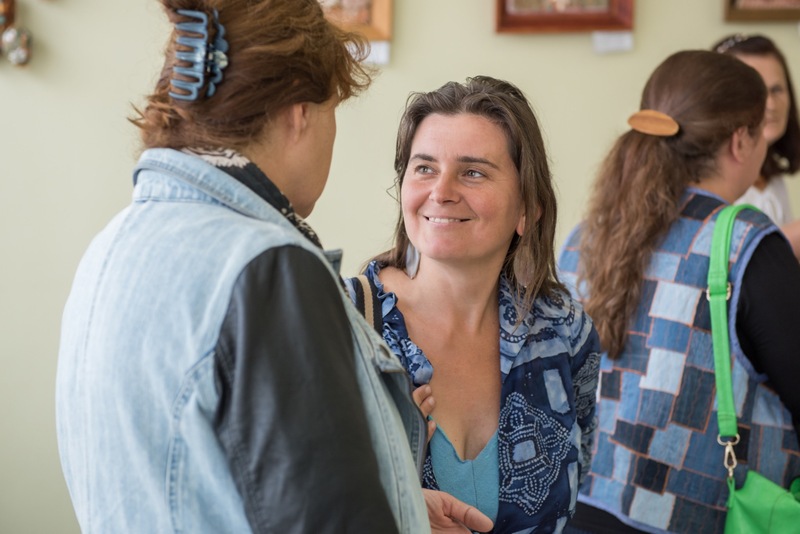 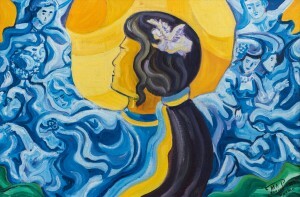 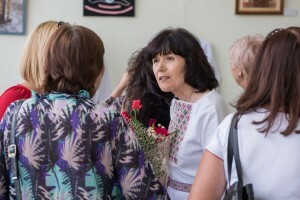 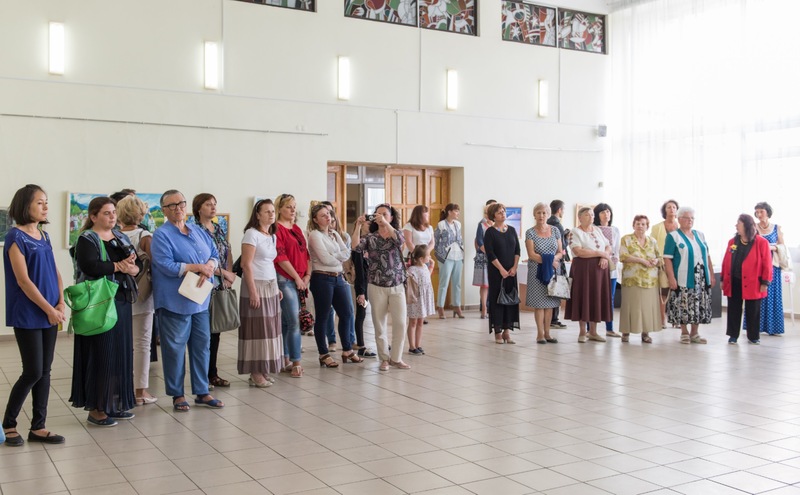 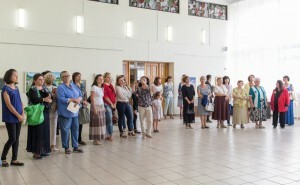 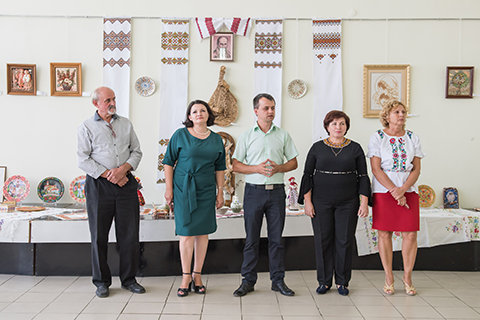 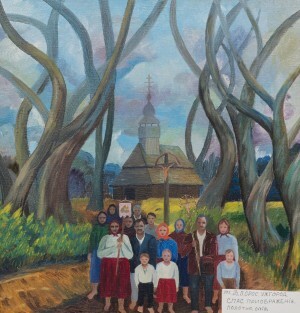 On Tuesday, August 22, it was held the opening of the exhibition"To You, My Ukraine"timed to the 26th anniversary of the Independence Day of Ukraine. 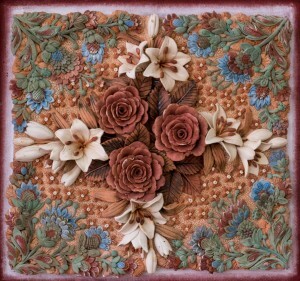 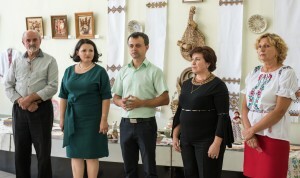 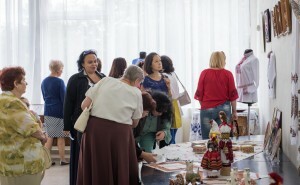 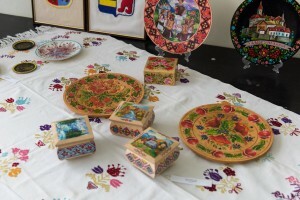 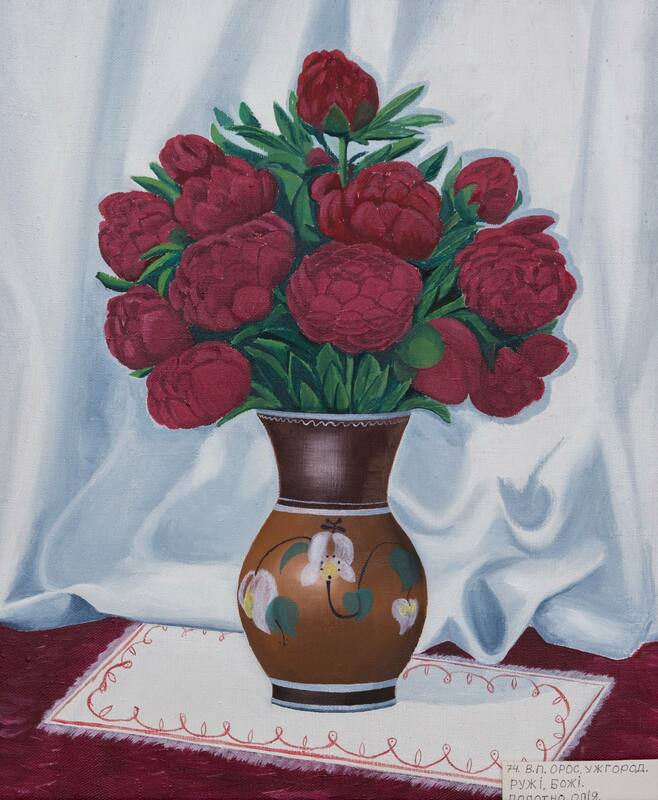 At the festive exhibition the organizers presented about 66 works of decorative and applied arts. 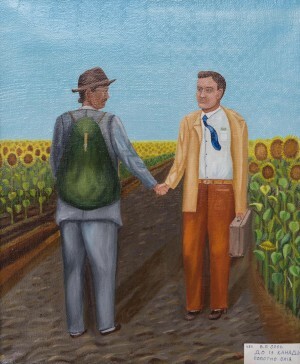 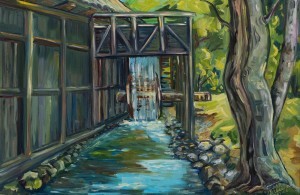 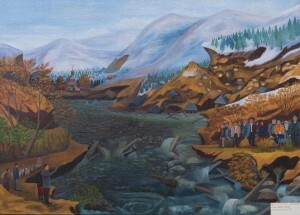 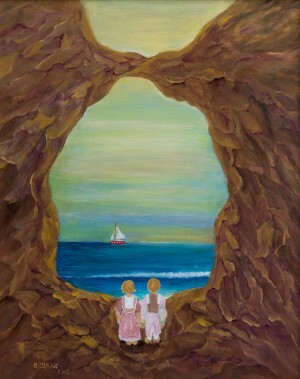 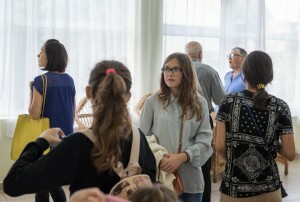 Presented exhibits were both of young authors and venerable artists. 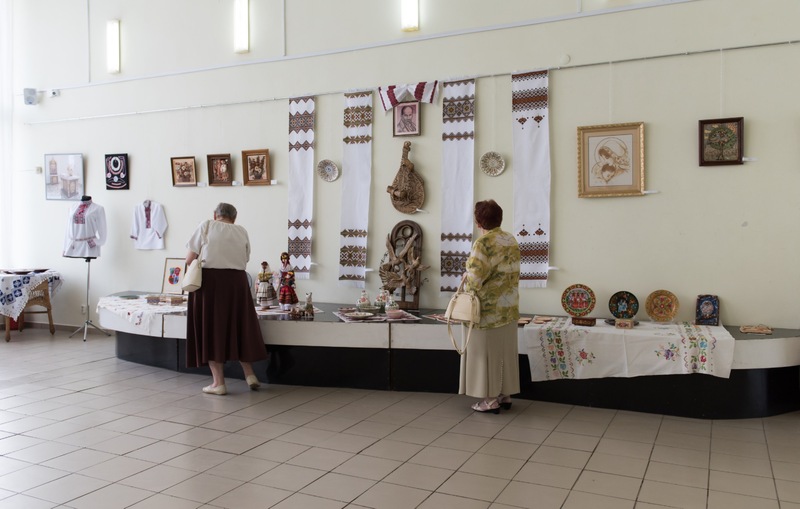 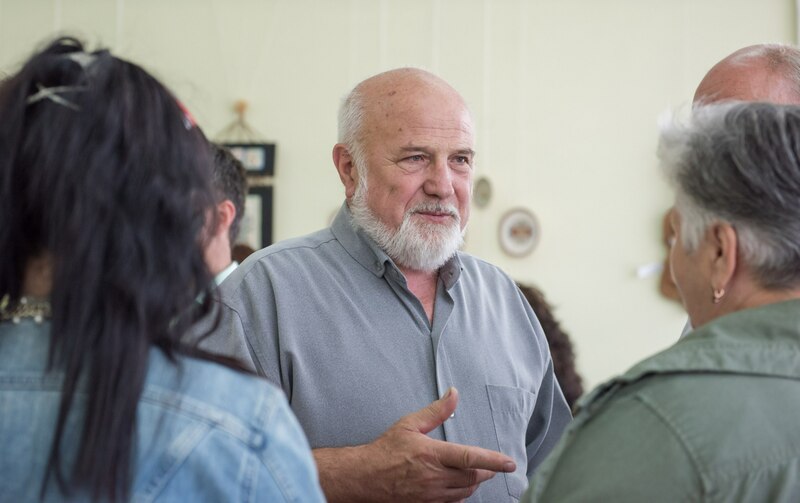 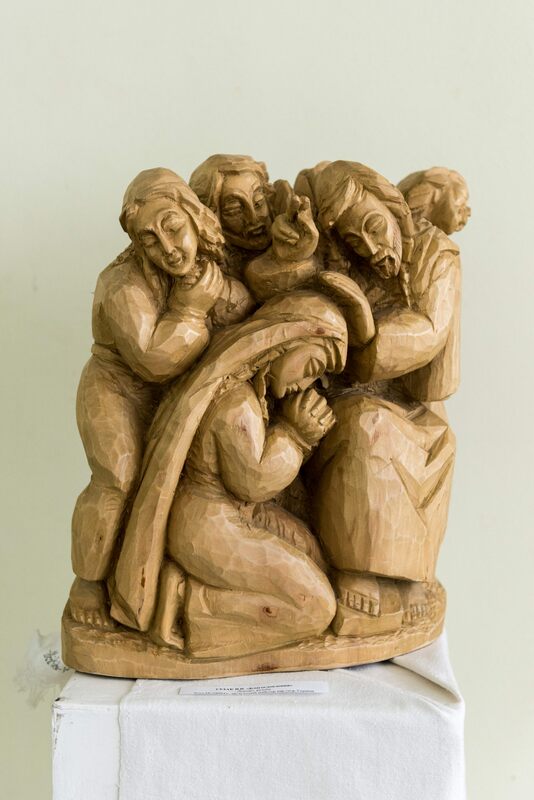 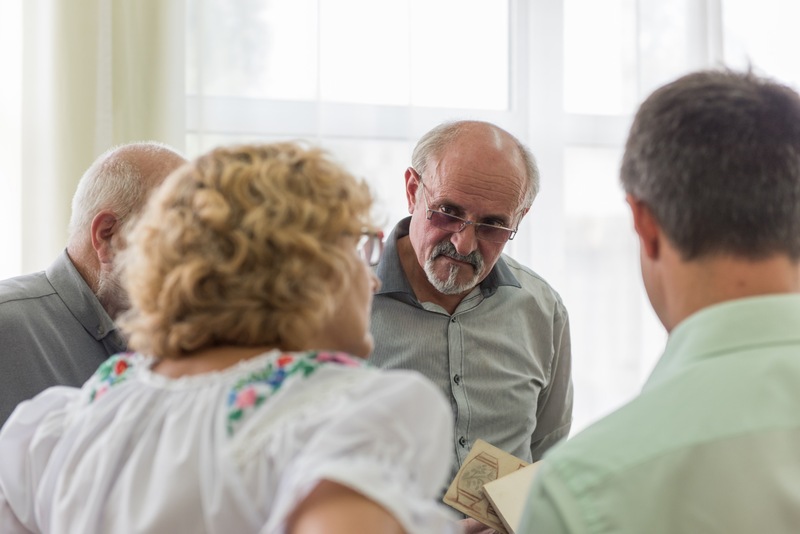 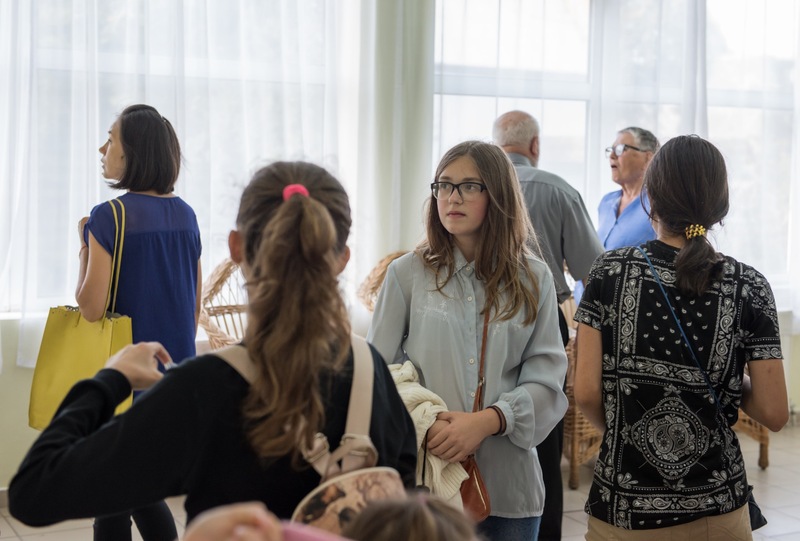 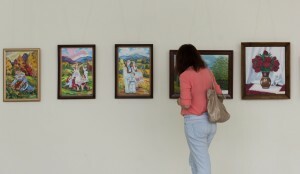 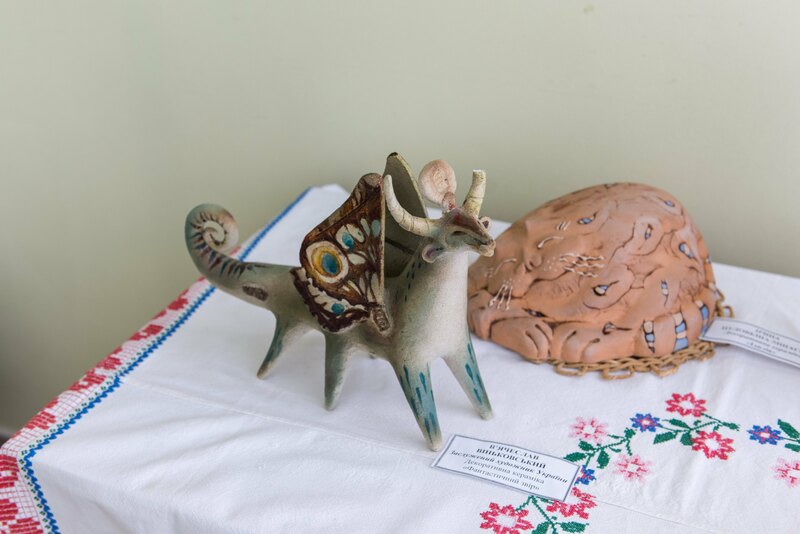 Thus, the visitors of the museum were able to enjoy the landscapes of M. Matiko and V. Oros, the ceramic figures of V. Vinkovskyi and S. Hrabar, embroidered dolls of M. Hubal, carved wooden sculptures of V. Sidak and A. Sakalosh, decorative compositions of N. Stehura, ceramic pysankas of E. Levadska, ceramic and wood works of L. Yashkina, decorative plates of O. Hal, ceramic panels of A. Pryslupska, beaded made products of M. Kupar and even decorative dresses and shirts by N. Shandor as well as other wonderful works of art. 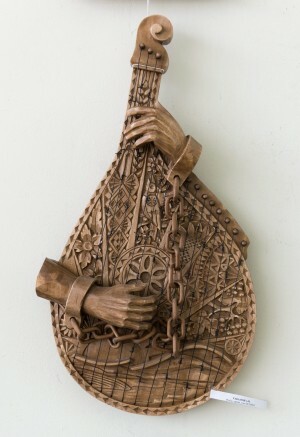 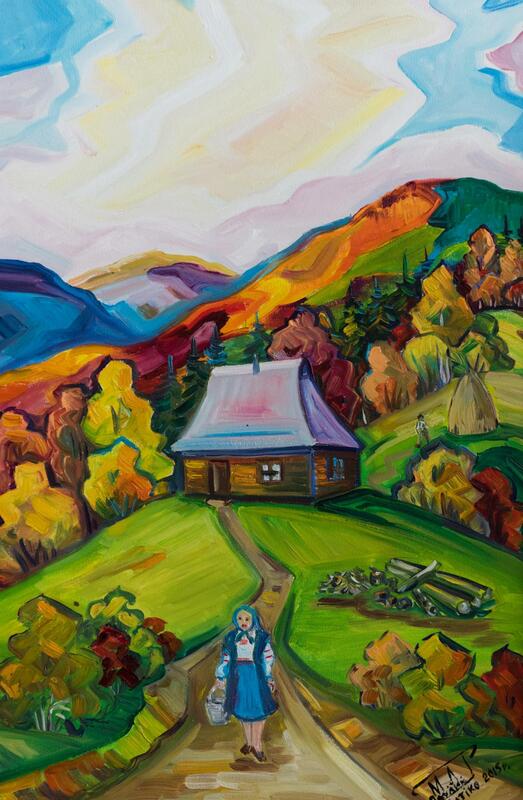 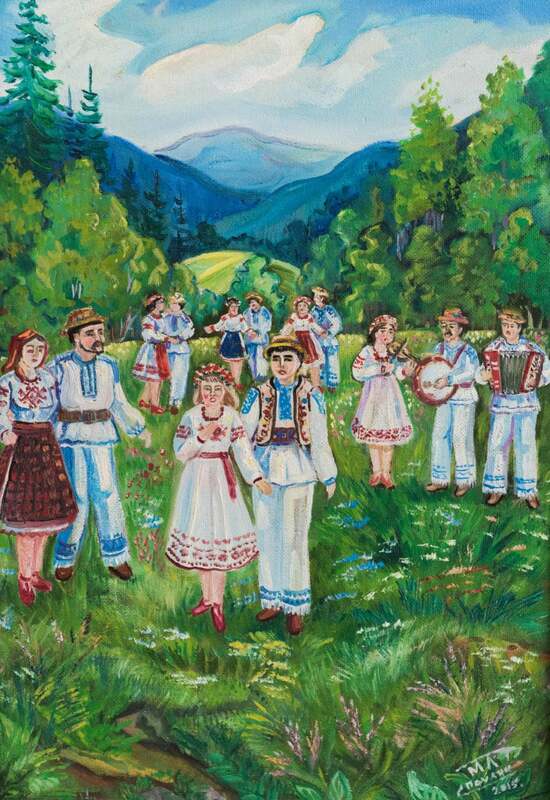 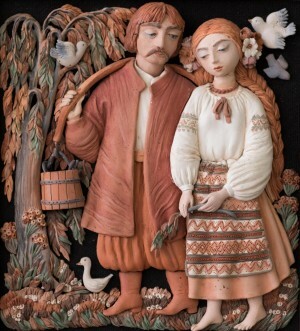 All the expositions on the theme of traditional folk art are distinguished by the incrustation of patriotic motives. 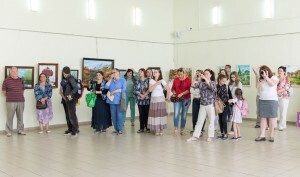 According to the organizers of the exhibition, thanks to this, one can once again see how bright and colourful our region is in the artsphere. 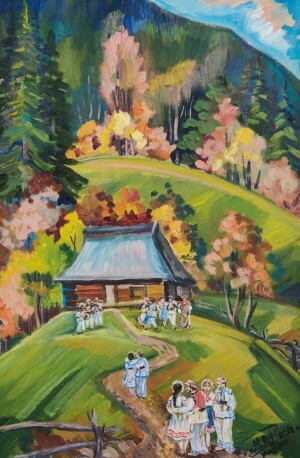 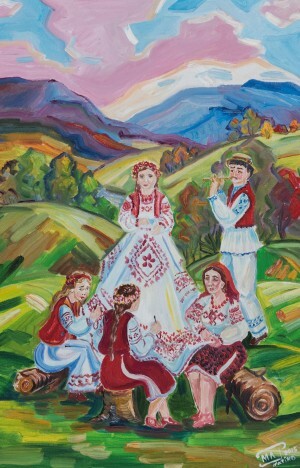 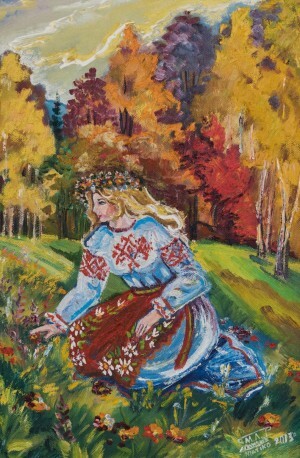 The uniqueness of the exposition "To You, My Ukraine" is also the fact that here you can see long-forgotten art forms. 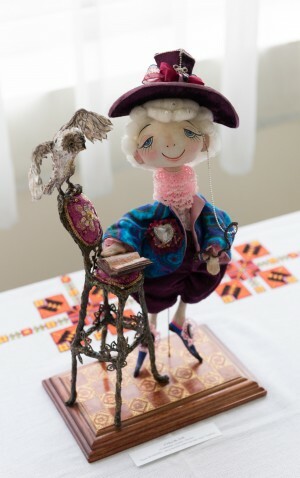 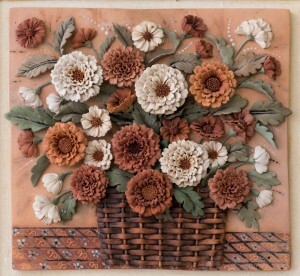 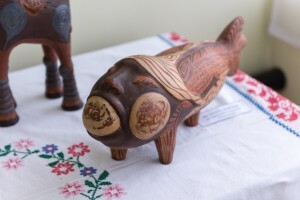 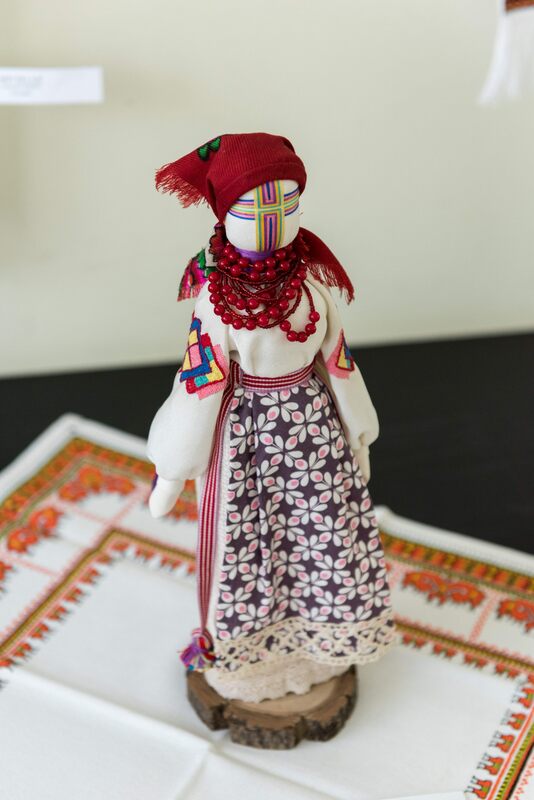 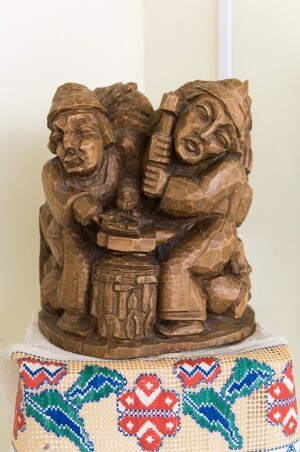 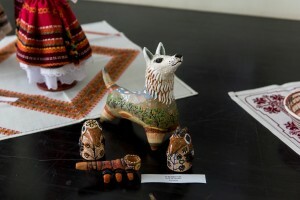 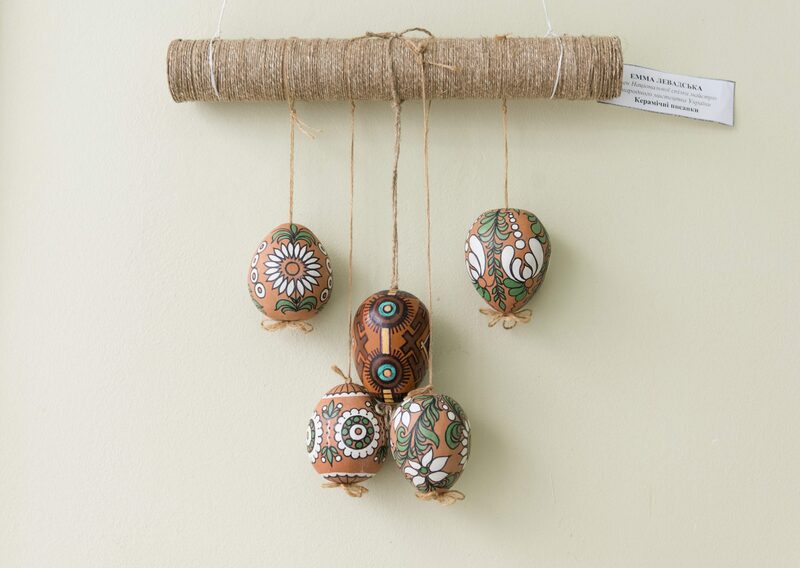 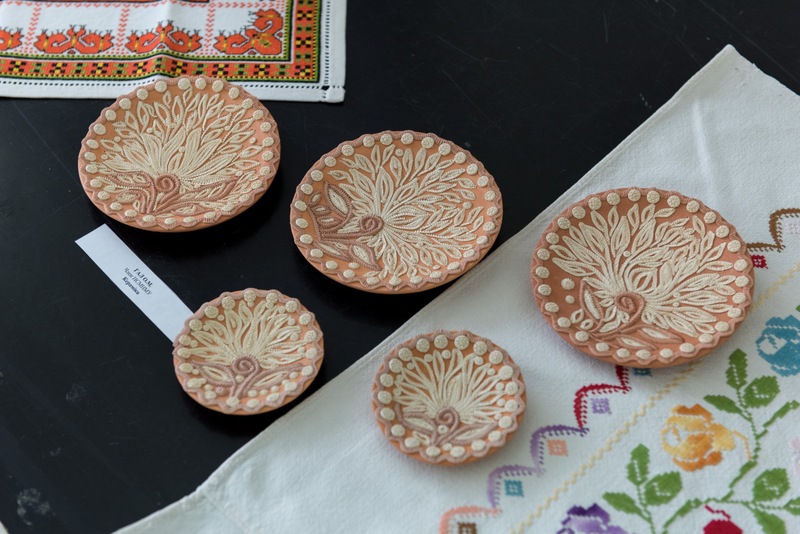 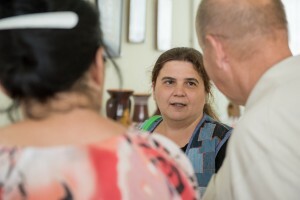 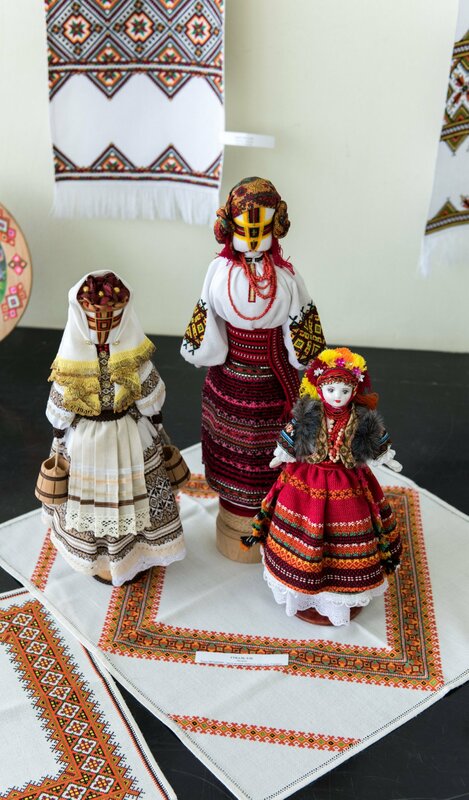 For example, a member of the National Union of Masters of Folk Art of Ukraine Emma Levadska presented exclusive vytynanky from her own collection. 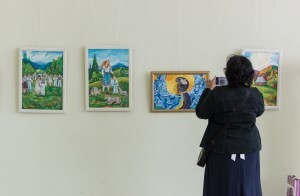 "It's such a kind of folk art, which is now developed by the professional artists, especially graphic artists," she said.– Why? Because this is a huge base for creativity, a source of inspiration. Vytynanky were used many years ago, for example, when houses were decorated with them on holidays. 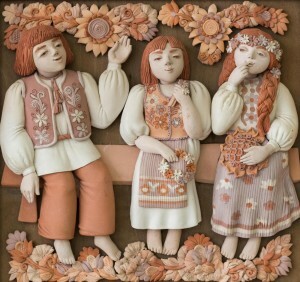 But now, this kind of art receive a new status and popularity, which cannot but rejoice." 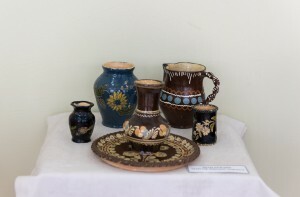 Particular attention should be paid to ceramics and pottery. 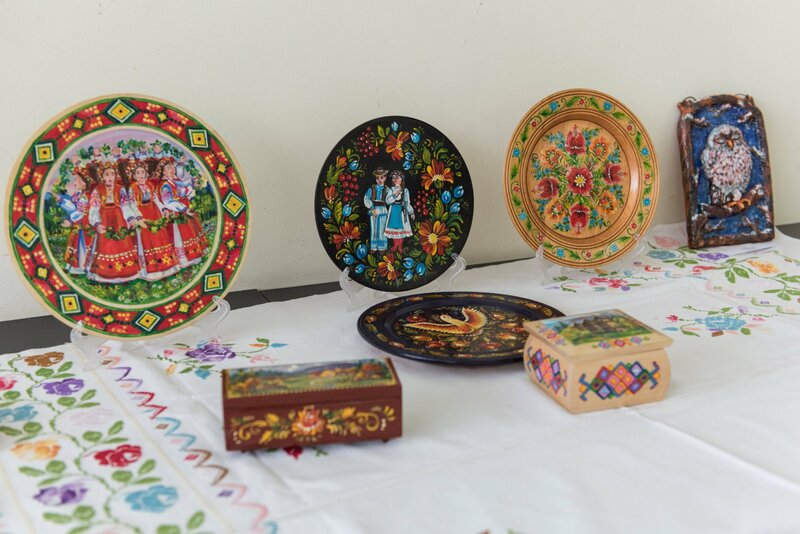 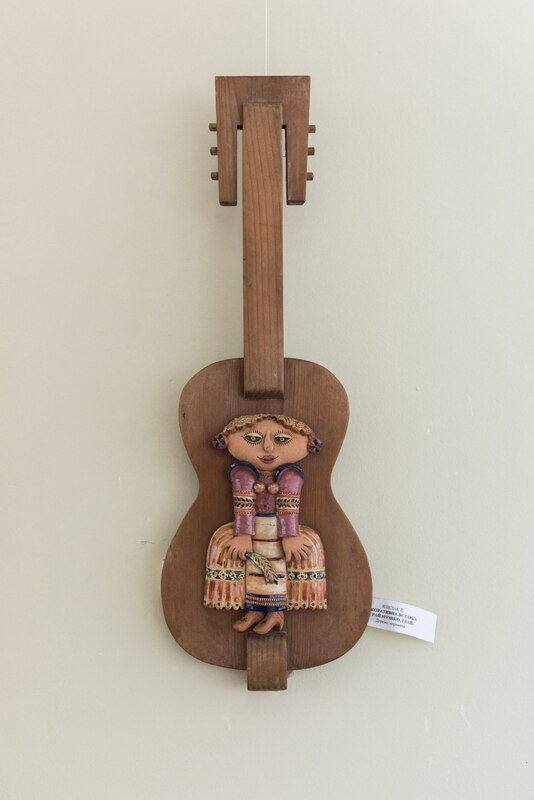 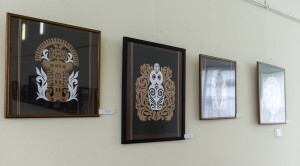 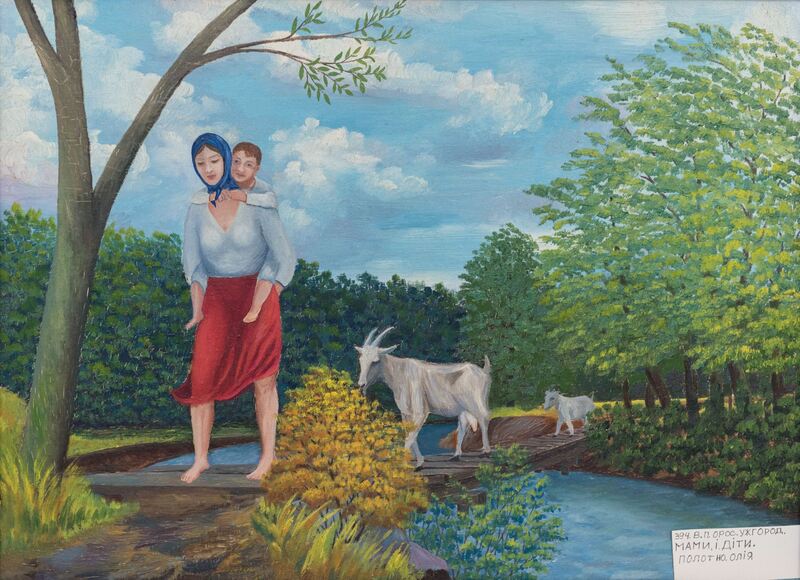 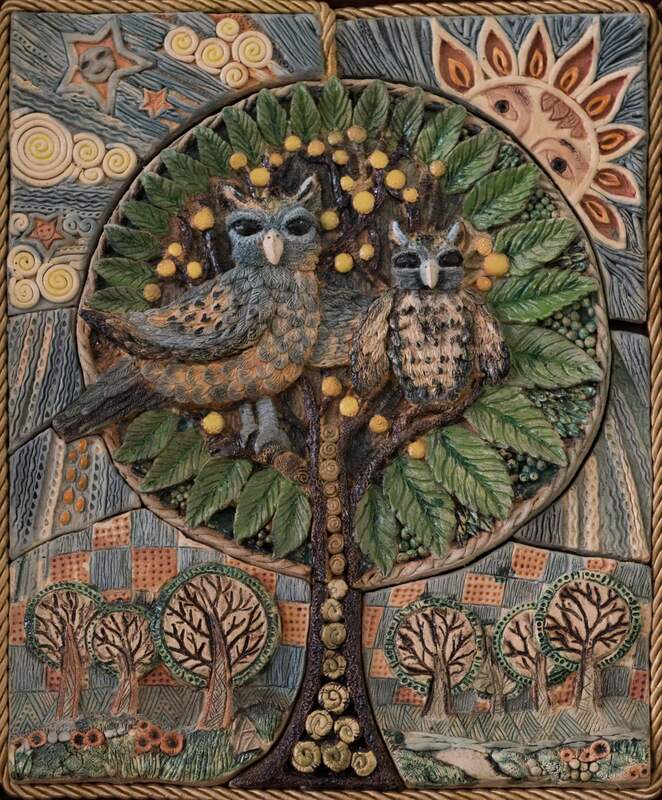 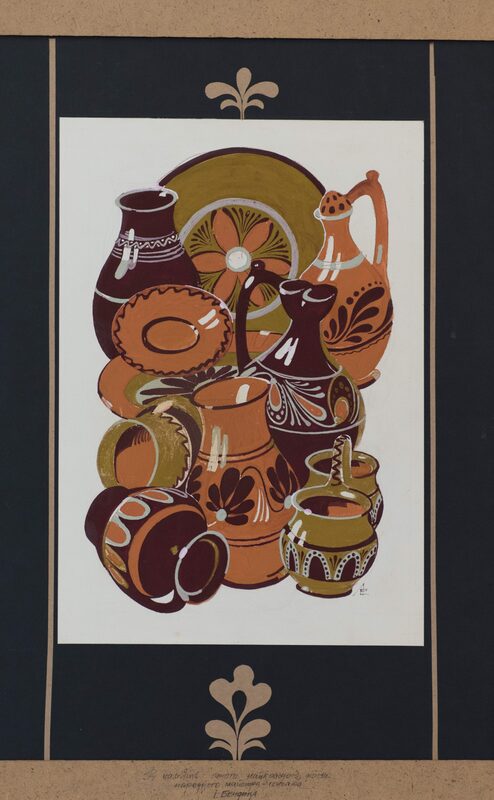 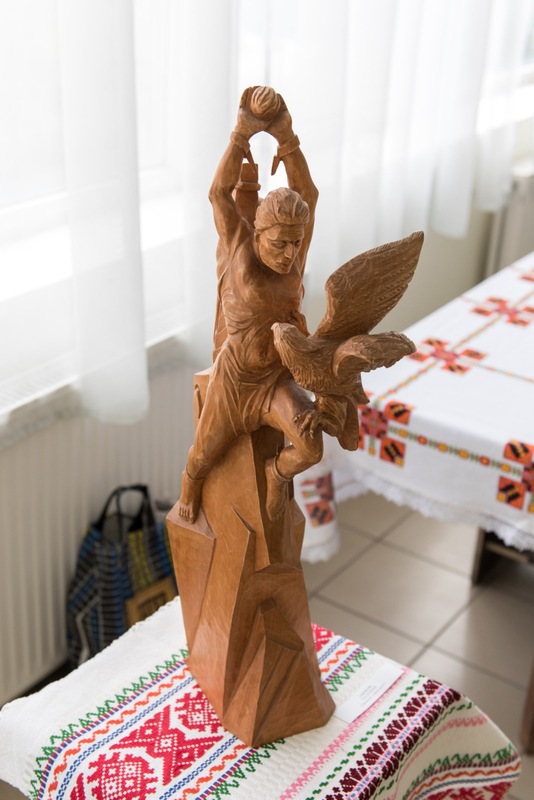 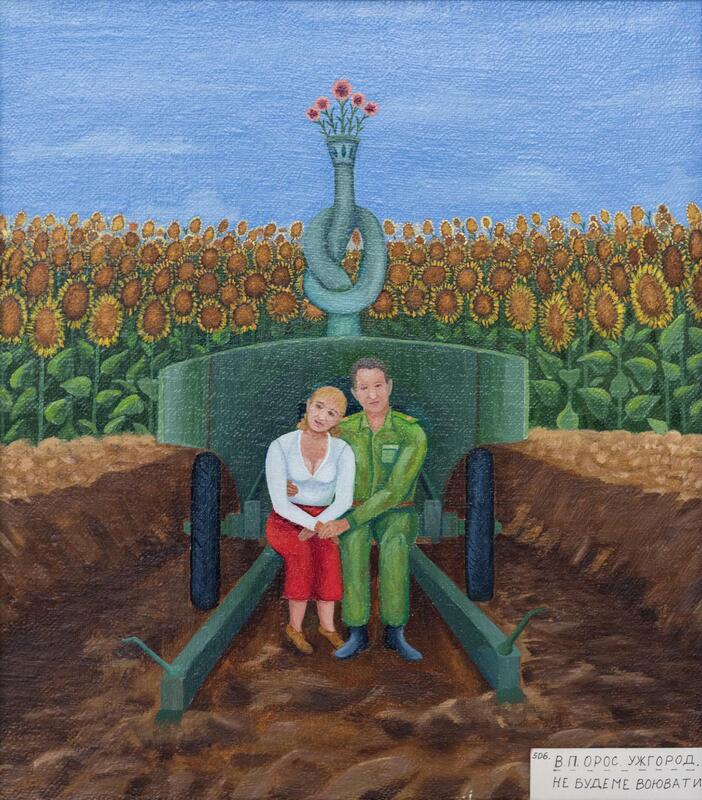 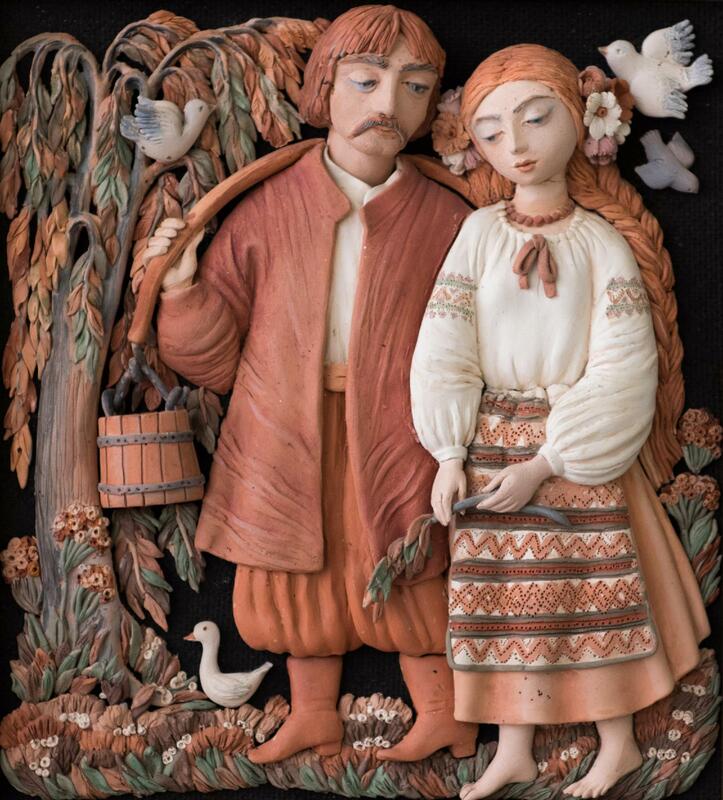 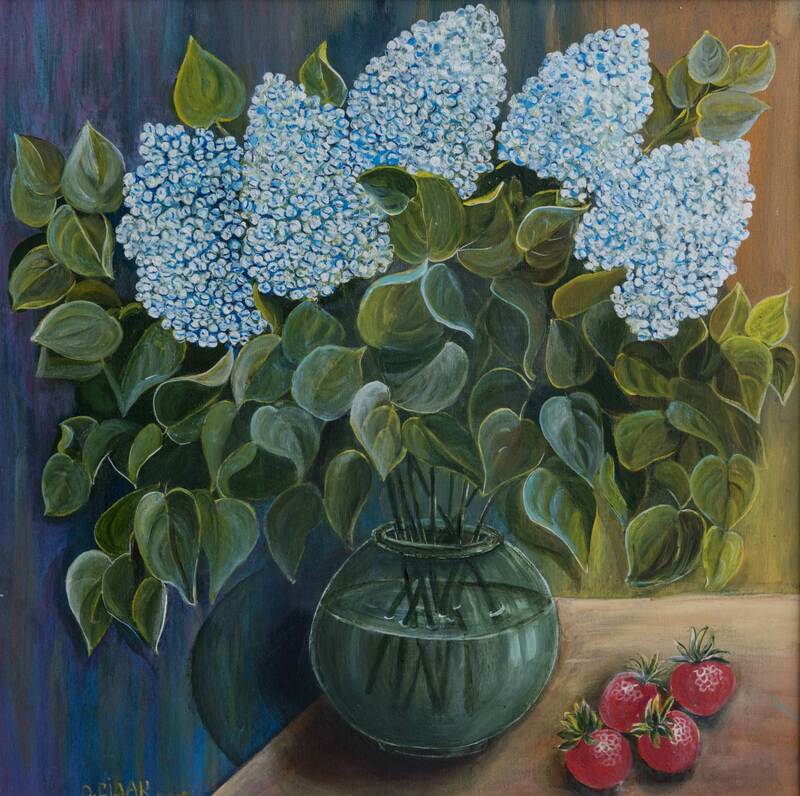 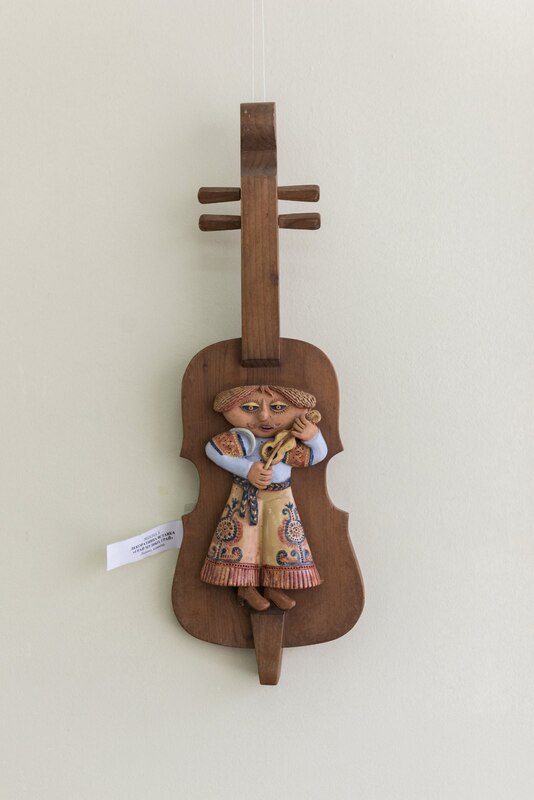 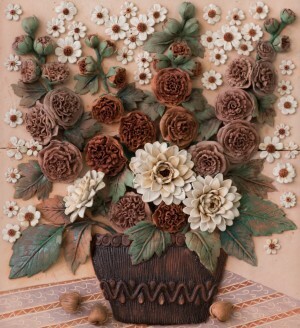 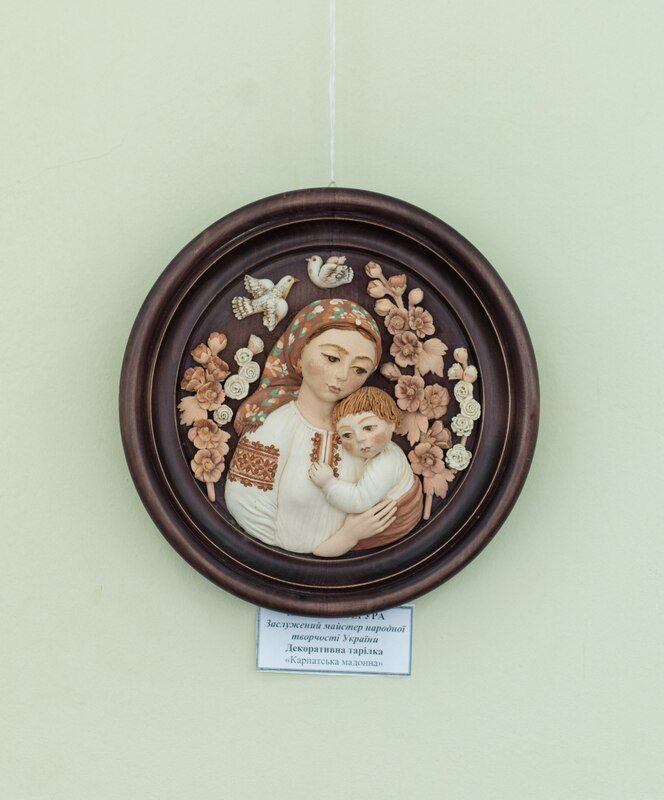 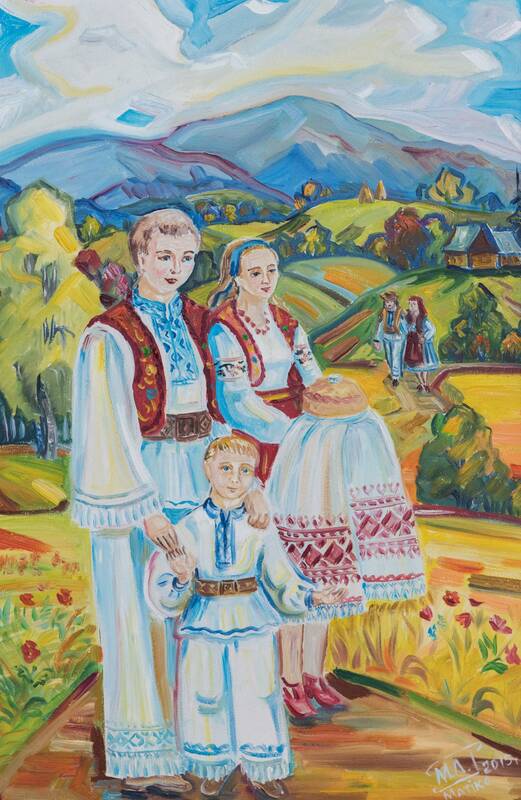 "Today this kind of art, unfortunately, disappears,"–one of the initiators of the exhibition, Honoured Master of Folk Art of Ukraine Nataliia Stehura admitted.–It is very labourious, because it requires appropriate equipment, which not everyone can afford. 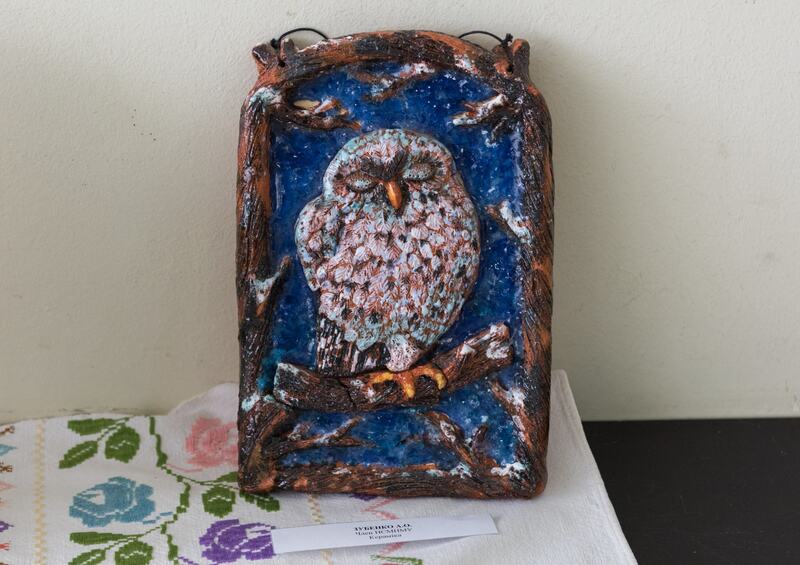 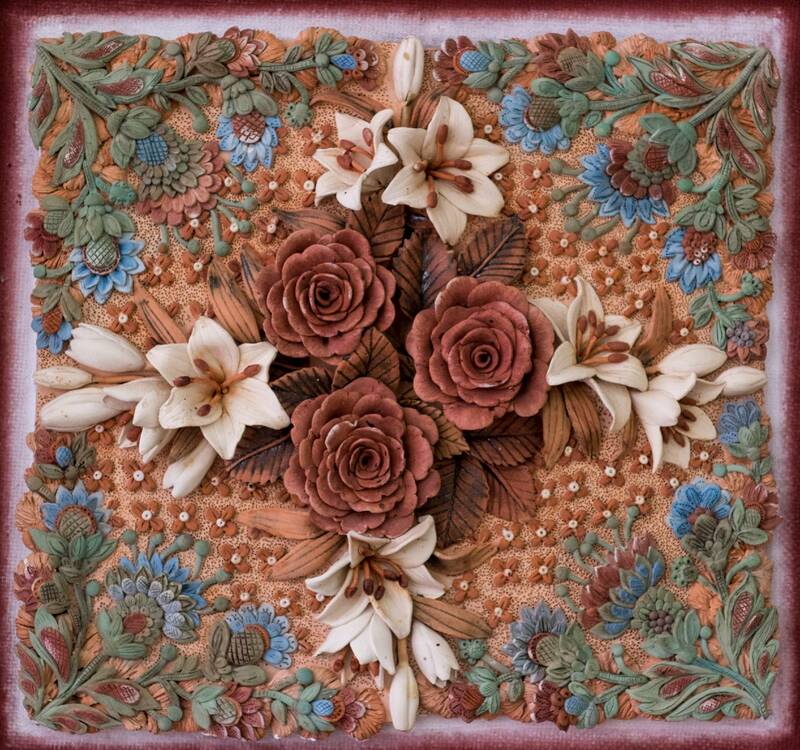 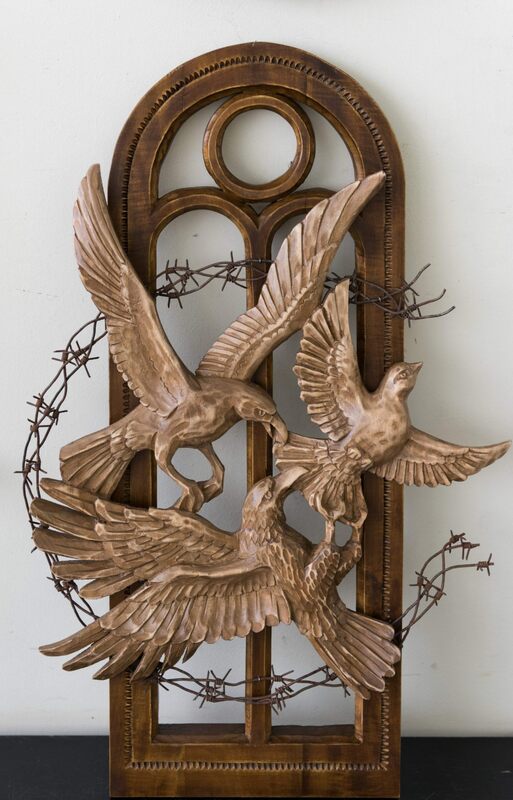 At the same time, it is a strange and beautiful form of creativity, where the author merges with the material and becomes one whole with it, clay in the hands of the artist just comes alive. 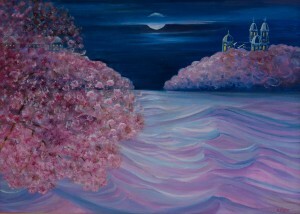 Everyone wants to touch and appreciate such works." 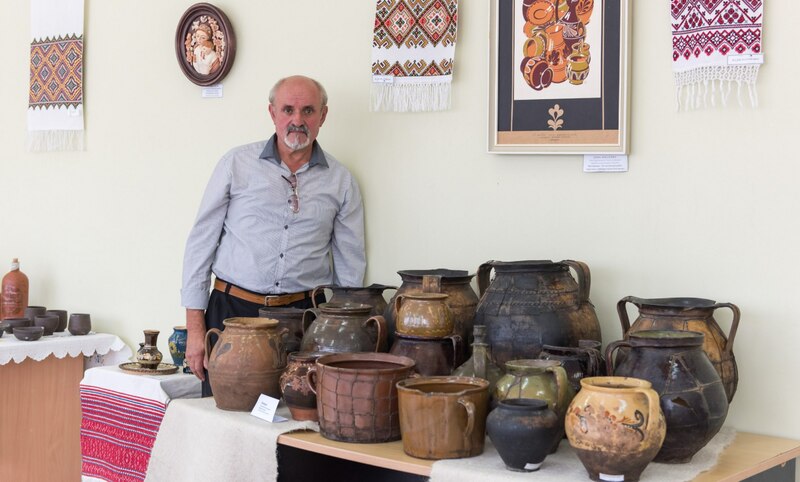 The highlight of the exhibition were the works of the famous Uzhhorod potter Ivan Bendyk, who worked in the early twentieth century. 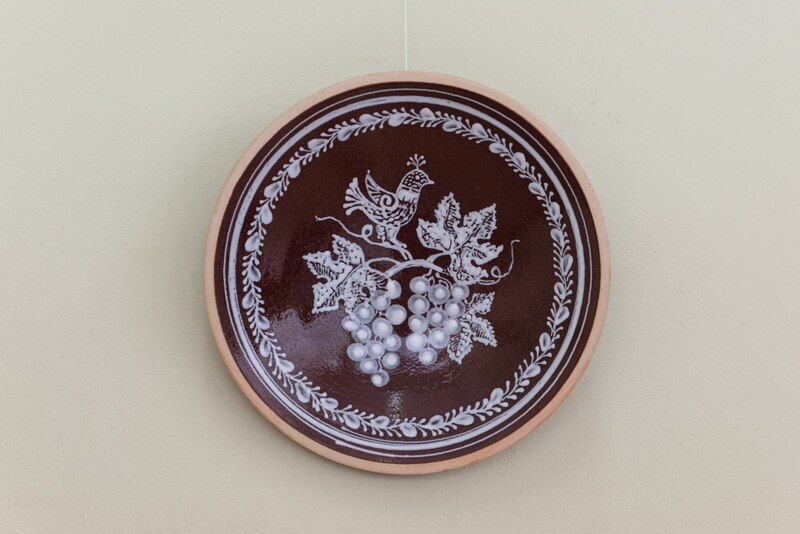 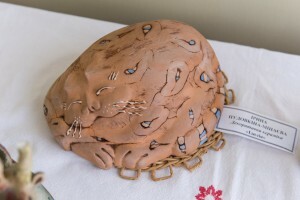 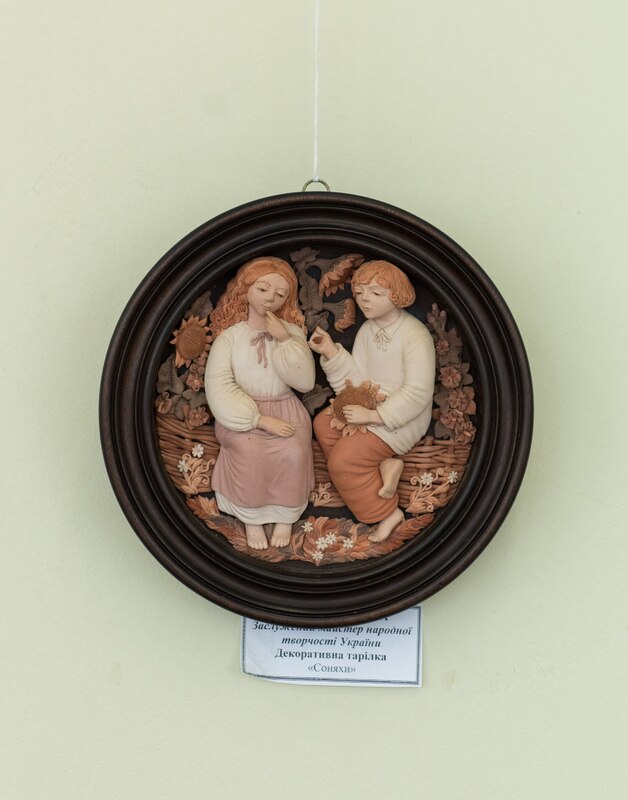 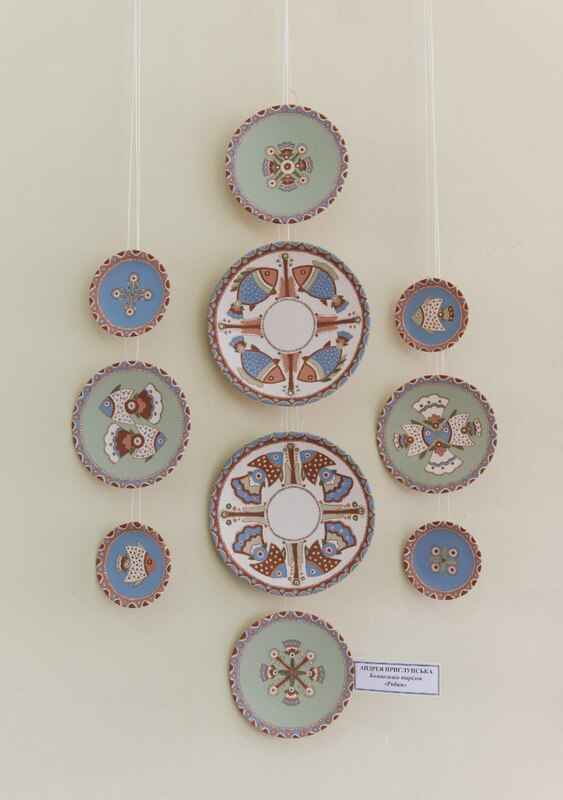 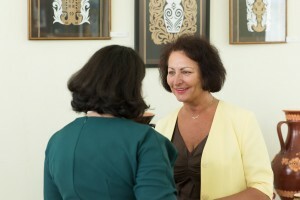 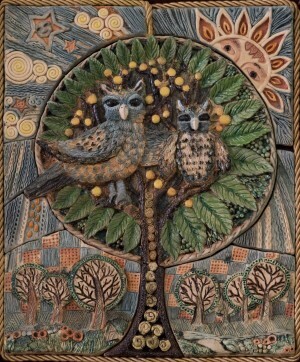 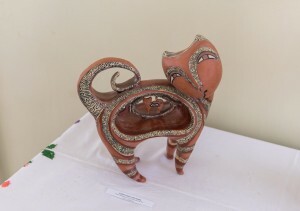 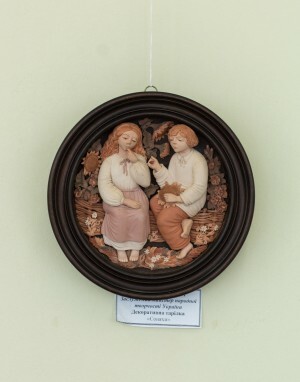 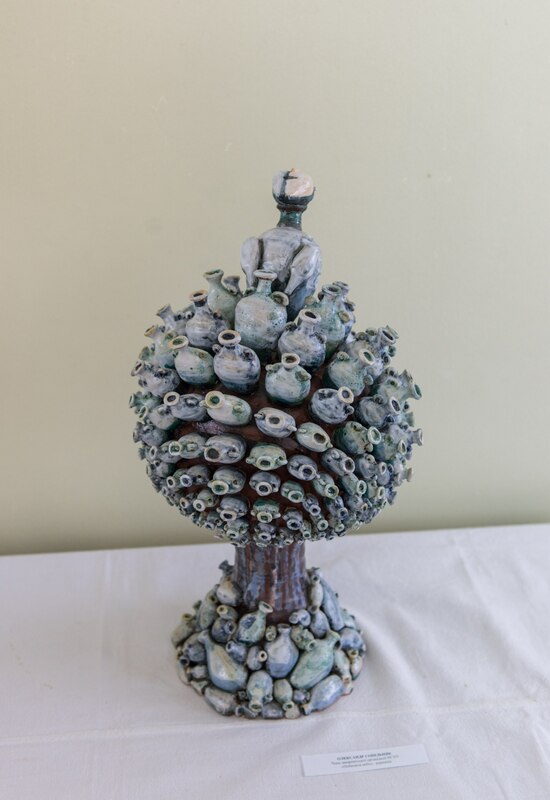 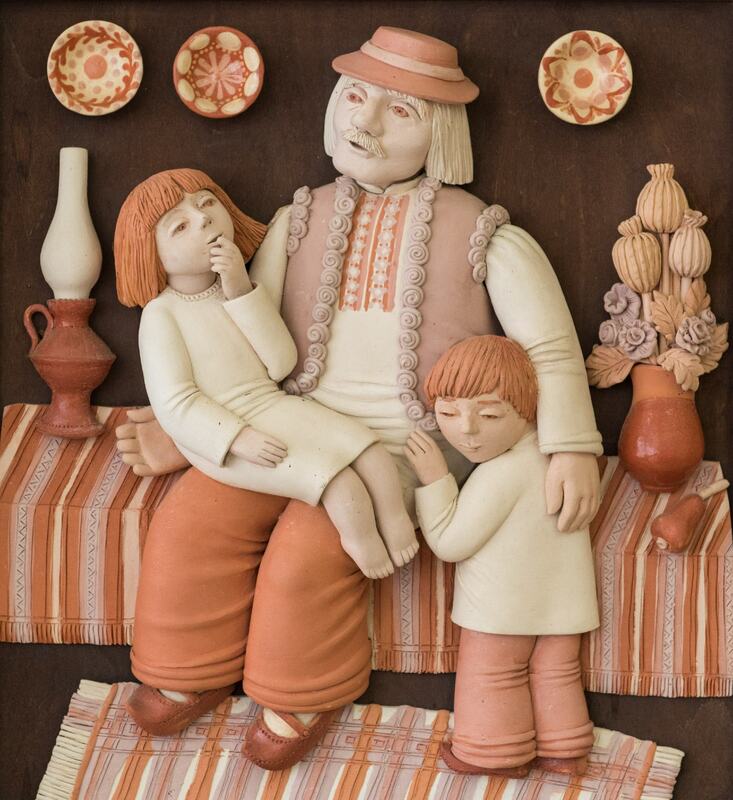 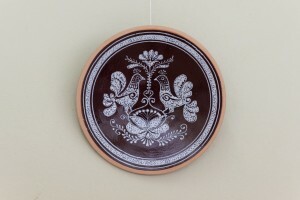 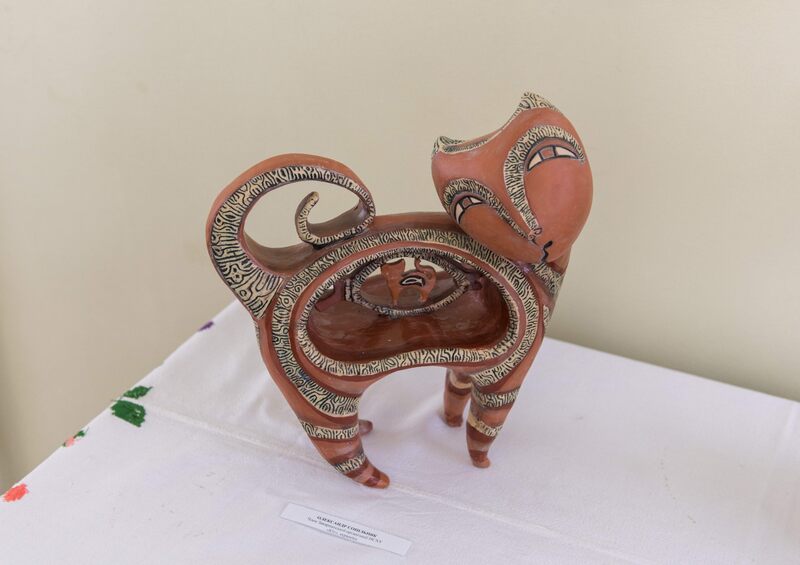 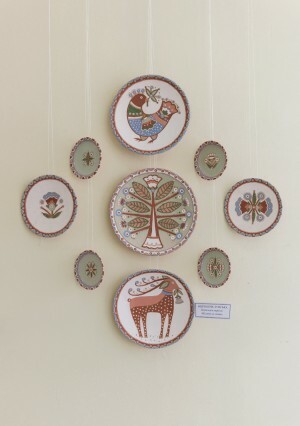 Also, visitors could see the unique collection of ceramics of the Honoured artist of Ukraine Mykhailo Belen. 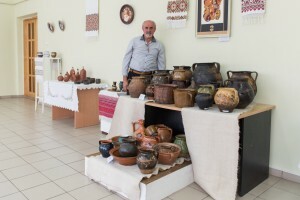 "Our history was developed in such a way that we formed an exceptional regional environment, where there was not mutual destruction of the culture of different peoples, but mutual enrichment," he said.–And, it is very important to preserve this process. 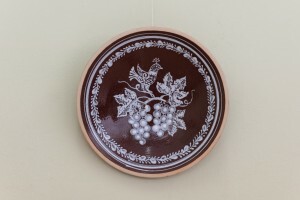 I have been collecting ceramic products, dishes, which our people used for the past three centuries. 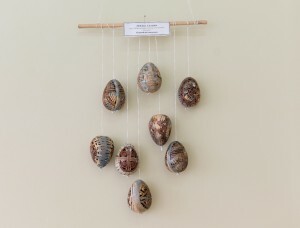 These are unique things. My wife and I are professionals, so I can assure you that it is very difficult to mould them. 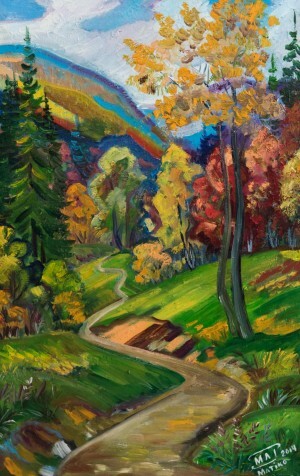 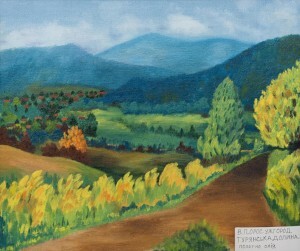 There is no such collection in any museum of Transcarpathia."